Since 1997, Staten Island chiropractor Dr. Steven Albert has helped thousands of patients transform their lives through pain relief and complete wellness. Dr. Albert provides compassionate, highly-skilled Staten Island chiropractic care to relieve pain and maximize healthy living goals. Our form of care focuses on treating the source rather than covering up symptoms with medication or recommending surgery. At The Healthy Body, we seek to address the root reason for the pain through effective, non-invasive, drug-free, natural treatments that work. Through our care, we have helped people take control of their health; addressing the reasons behind their chronic back pain, headaches, neck pain, muscle strain and many other painful conditions. We are also experienced in helping patients recover from car accident injuries, work related injuries, sports injuries, and other types of injuries. Our ultimate goal for each patient is to help them feel better naturally and go on to experience optimum health for the rest of their lives. Our chiropractor, Dr. Albert, uses his extensive knowledge of the spine and the nervous system to bring relief from back pain, headaches and other types of pain and injury for our patients throughout Staten Island. 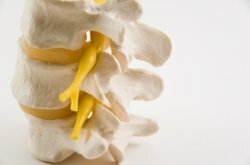 Chiropractic care is founded on the knowledge that the central nervous system must be unimpeded if it is to deliver its critical messages throughout the body. These messages travel at lightning speed from every organ and system back and forth, to and from the brain, controlling all of the body's processes. When the spine is aligned properly, these messages travel as they should and the body functions well. If the spine is not correctly aligned, however, vertebrae start to pinch nerves, interrupting this essential flow of communication. Misalignments can occur slowly over time due to poor posture or incorrect ergonomic habits, or they can happen suddenly due to an injury of some kind. Even soft tissue strain and pulled muscles can shift the spine out of alignment. If these misalignments (called "subluxations), go undiagnosed, they will worsen over time, pinch more nerves, and lead to symptoms of back pain, headache, and other kinds of pain. Dr. Albert and our team are experienced at both diagnosing and treating these misalignments so that the nervous system can return to functioning at its full capacity. Our chiropractors give each patient a thorough exam to determine where, exactly, the subluxations are located in the spine. Then we can recommend a series of gentle, effective spinal adjustments to guide the spine back into a healthy position. In addition to spinal adjustments, we offer several different treatments that complement the effects of our spinal care, all of which are drug-free, natural, and non-invasive. Treatments such as massage therapy, physical therapy, acupuncture, exercise and nutritional counseling greatly enhance Dr. Albert's spinal adjustments and help patients to heal, rejuvenate, recover from injuries and go on to accomplish their ultimate health goals. Please call us today at 718-698-5600 to schedule an appointment to get back on the road to pain-free living and whole-body health!